Basically we just used our shoutcast stream.. but for us it gets complicated because we present in both Second Life and Kitely simultaneously..
We present audio, and video feeds, as well as live chat to the audiences on both grids, often with multiple presenters that are also present on both grids. It's pretty cool cuz audiences in both SL and Kitely can see and converse with each other, and both audiences can hear the storytellers. With voice down in Kitely we had to have both our presenters on Voice in Second Life, with an alt avatar in SL that could 'hear' both our presenters and back feed the stream audio (which we did by plugging a cable between the mic and earphones on the other computer - other ways to do it, but at 10 minutes till show time old school worked just fine!). We normally have an alt in attendance on both grids to act as the 'cameraman' to provide the live video feed back to other grid. And of course there is the matter of our cameraman getting booted during the show due to inactivity.. but we deal with that too. ANYway... most likely that all this is far more than you need. If you are presenting in just Kitely and with just one presenter you should be able to just use a shoutcast stream and set your Land stream to the url for your stream that you are presenting on and all avatars on your land should be able to hear just fine. You will want to get this setup ahead of time as you'll need to install a couple plug ins and stuff to get it all working. I'm sure there are people here that know better than I do, but we just use Winamp with the Shoutcast Source DSP plugin. I can send you some sample screen shots of a few of the configs you need to make. And of course, I defer to anyone here that has a simpler solution for ya! Oh and please do note that depending on connections, and provider, and other oddities, your Stream audio will have a delay from the time you talk to the moment your audience hears you. We usually experience a 15-20 second delay. Once the stream starts you may not be aware of it, but when we have multiple things going on.. like chat and video feed.. even that small delay can make things seem a little weird sometimes. Oh, one last thing... come on by Seanchai Library in Kitely any Thursday evening and visit with us and listen to our fine storytellers in Live Voice. Bring your friends. Or send people you don't like. Or sneakTP strangers over.. any thing to help us build attendance.. LoL! Last edited by Shandon Loring on Mon Jan 14, 2019 12:23 am, edited 2 times in total. Hi Eileen, do you use any webinar software in your delivery? If so you may be able to use that with your virtual class. I have a colleague who regularly uses Zoom for the audio when she teaches in Second Life. So she sends out a Zoom link to students and everyone logs into the Zoom class, using audio only. They then minimse the Zoom window and log into the virtual world. She tried it with me last week and it worked very well. Hopefully voice returns before next week though. "At this time, I do not have an update on the timing for the move completion. Please note that this move involves servers for all voice communication and not just our OpenSim servers. I will update you when voice should be restored." While this voice outage isn't our fault, I do apologize for how it's affecting you all. We thought Vivox (which is also used by Second Life and many very popular MMOs) was a more trustworthy service provider. We're now stuck waiting for them to get their act together and are starting to consider our alternatives (none of which are without downsides). Perhaps little comment in between, apparently there seems to be a bug in Fs 6.0.1 - probably 6.x in general - for Mac Mojave. The moment I finally updated to Mojave, I still could hear when people talk, speaking though ... forget it. I contacted the Fs people, they're aware of this and the fix is already made, it will (at least hope so) come out with the next release. They did pass a workaround, it didn't help and all other voice related apps work perfectly fine. Thanks Ilan. These things happen from time to time. It is the price of upgrades. You can only do what you can do. I look forward to hearing the updates. So.. Show Time tomorrow night, and it appears Voice is still no go? That truly stinks. But hey.. will persevere..
Did drop a note to Vivox, no response yet. 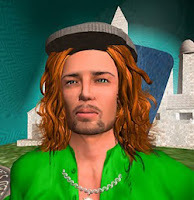 Odd that Voice is fine in Second Life... same Vivox company, yah? Anyway... if you're so inclined to drop by for show Thursday night, please do.. we can really use the support and we will be Live in Voice, er.. on Stream. We're in contact with Vivox's technical support and have sent them server logs to try to help them move things along. They aren't exactly quick to respond so we're still waiting for them to resolve this issue. We truly share your frustration about this. Thank you for the update. Please post when more info is available. I had been under the impression that certain servers were working properly, but were in fact experiencing the same issue of being able to connect but not get voice flowing. I'm sorry for that misinformation. The good news is we’ve isolated the issue and our Ops Team is working on upgrading our infrastructure. We are expecting systems to be coming back over the next few days with a target completion time of mid next week. Until finished connection/transmission will be in an intermittent state (not connecting, connecting but not flowing, etc.). I'm sorry for the delay. Kitely should be one of the first servers to come back.